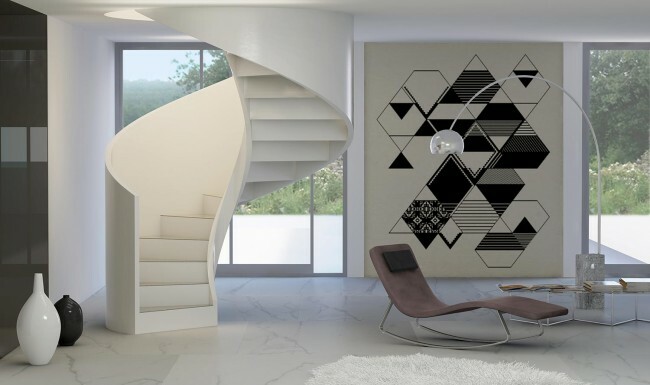 A line of “designer staircases” with fluid spiral contours, with no central pole: a pure and elegant shape, made from a robust and compact material like concrete, which serves to contain the structure like a sculpture. Each of our “concrete staircases” has the aesthetic impact of a sculpted element, with the customer being free to choose from among various colour finishes (white / ecru / cement grey / anthracite grey) in order to allow for a wide range of formal expressions. The paint finish can even render the idea of a Travertine surface, or provide for decorative elements with a “spatula effect”. 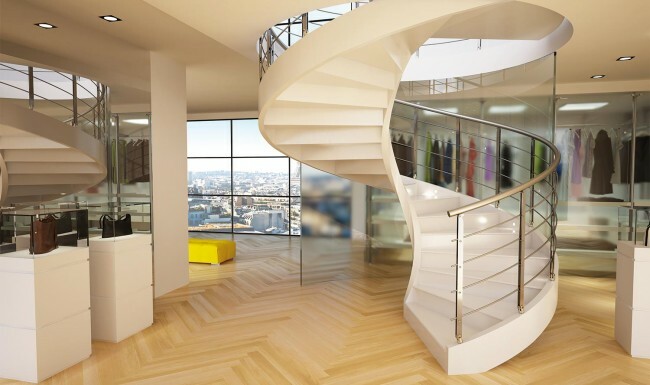 Our “concrete staircases” are perfectly suited to various types of interior décor styles. And the stylistic choices are further increased with a wide range of available railings. Each staircase is installed on site by expert personnel and comes complete with all the necessary structural certifications. 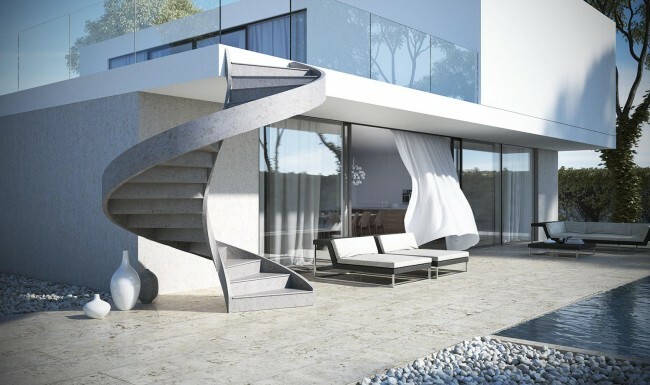 These “concrete staircases” are designed exclusively for residential use.